In July 2016 my trip to London included several art exhibitions and I find it interesting to see the effect they have on me as a writer. The BP Portrait Award takes place at the National Portrait Gallery every year and I have been attending these exhibitions since 2013. I always buy the neatly presented little books that accompany them to remind me of my favourites – not always the portraits that win! I love studying portraits maybe because I am a writer first and a painter second and the human face and body language fascinate me. In the portraits that appeal to me the most the artist has captured not just the external appearance of the sitter, but also the interior thoughts or feelings. You could say the soul. 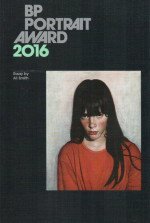 The portrait on the cover of the booklet (see here) is not the winner of the award. The gallery is democratic in its choice of cover photograph. The one selected this year, “Francesca” by Daniele Vezzani (oil on canvas) is a good example of what I mean. I feel I know this girl and a version of her may well turn up as a character in one of my novels or short stories. Also at the National Portrait Gallery I saw David Hockey’s 82 Portraits and 1 Still Life. These portraits of Hockney’s friends and family, some famous, some not, have been painted over the past three years in the artist’s inimitable style. 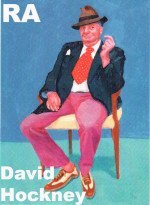 All his sitters – whether the flamboyant Barry Humphries or the less confident-looking Pauline Ling – occupy the same chair in the same location. The sitting time for each person was three days. Only the colour of the wall and floor and the angle of the chair vary but not much. It’s colour that hits you first as you walk into the gallery, clear, bright, singing colour. There is little subtlety here and at first you feel that you will walk round the gallery in five minutes, because a brash, linear flatness makes all the portraits look alike. For me, this impression never completely fades. But, on closer inspection, the stance of each sitter is distinctive: the position of legs, feet, hands, reveals confidence or timidity, pride or modesty, and a hint to the sexual proclivity of each person. All these portraits are posed and I get the feeling that the sitters are showing us the persona they wish the artist to portray. A very different objective from most of the portraits in the BP Awards mentioned above. David Hockney seems to accept each person’s view of him or her self and doesn’t attempt to delve any deeper into the psyche of each. He paints what he sees. Many of the faces are almost bland, expressionless, as if not at ease with the process. This exhibition got me thinking about the persona presented to the world and the difference between that and the inner self and how artists and writers portray that aspect of human nature. 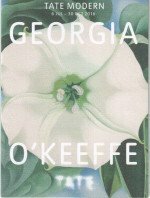 Georgia O’Keefe is widely recognised as a foundational figure within modernism in the United States. I’d read quite a bit about her previously, but was rather disappointed when I viewed her modernist work. I’m not normally a lover of paintings of flowers but, oddly enough, these were the pictures I appreciated the most. Apart from her perfect technique, I admired the arrangement on the canvas, which gave them an abstract feel. Oriental Poppies (1927) and Jimson Weed/White Flower (1932) – see here – were my favourites. I bought copies of both as magnets that now adorn my fridge. 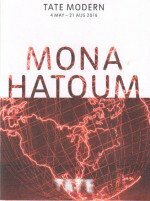 Mona Hatoum did not disappoint. Her installations and sculptures knocked me sideways. She is a political artist who has found new visual forms to express the “conflicts and contradictions” of the world in general but particularly in the war torn Middle East. She focuses on making the personal political, demonstrating the resilience of the people who live through these troubled times. Most of Hatoum’s sculptures and installations are huge and I do mean huge. Some take up a complete room. One installation that has stayed with me is set in a huge sandpit in a circle. A rotating motor-driven arm sweeps slowly over the surface, creating and erasing circular lines in the sand. I couldn’t help thinking as I stood there mesmerised how we are all too often passive watchers of construction and destruction in this frightening world in which we live. 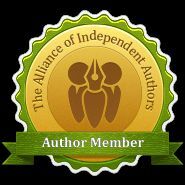 As a writer, it made me even more aware than before of the power of imagery. I note that this exhibition closed on August 21st but if you can see her work somewhere else, please don’t miss the opportunity to share the experience and imagination of this innovative artist. I also went to the Summer Exhibition at the Royal Academy to see some of the cutting edge work being done by artists. I was lucky enough to go with Bobby Patmore, an up and coming, talented artist, who knows much more than I do about the techniques used. I’ve asked him to be a guest blogger and give you his impressions of The Summer Exhibition 2016. So – Watch this space. All content © Jeannie van Rompaey.